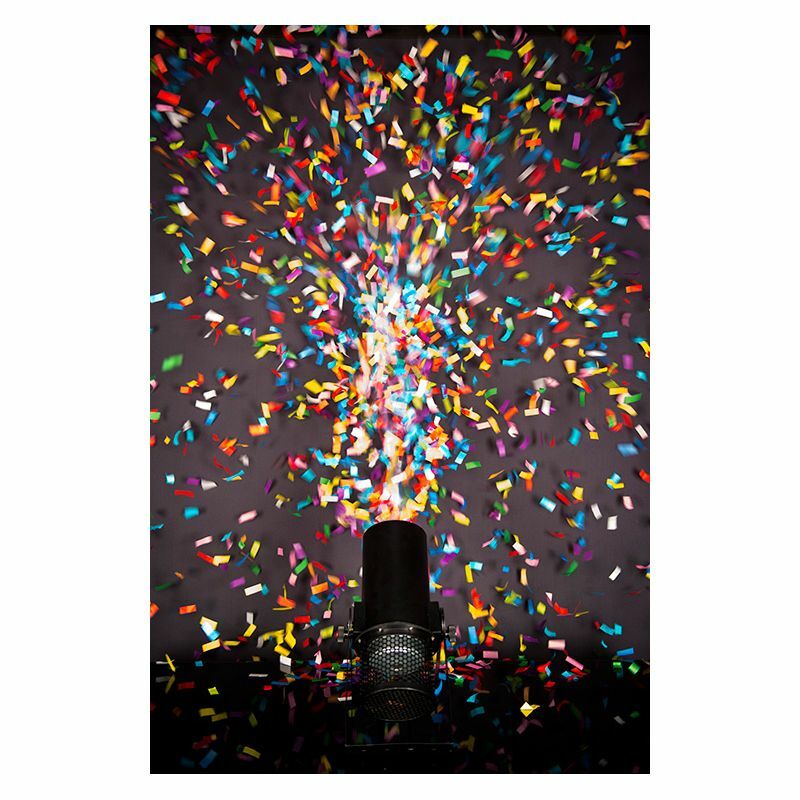 Add a touch of magic to your event or celebration with one of our Confetti Cannons. Don’t rely on the cheap handheld confetti options when you can create quite the statement with our professional Confetti Cannon that can rain confetti down on you exactly when you want it. It’s an ideal extra element for your First Dance, Product Launch, Awards Evening or even a special announcement, grand entrance and more. You also have the option of choosing the colour of your confetti so a perfect choice to suit your theme or brand. LED lights on the Confetti Cannon make an even bigger statement! Keen to make your event go off with a bang? Get in touch with us today and let’s discuss making your event one to remember! (Confetti Cannon is only available in addition to a DJ hire booking and not available for hire on own).